The search for explanations is involved in every aspect of our lives. Through explaining the world around us, we seek to understand it. Striving to explain as many different phenomena as possible is also a central goal of scientific research. With the help of explanations, we are able to intervene in the events surrounding us. But what defines a good explanation? This book presents the most prominent views on the subject and develops a theory of its own. 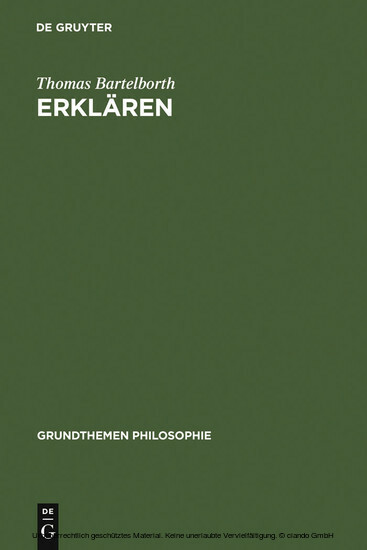 In so doing, the author lays bare the ontological assumptions bound up with theories of explanation and provides criteria for judging the quality of an explanation.